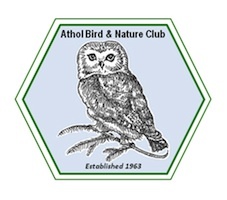 The Athol Bird and Nature Club (ABNC) calendar, chock full of nature notes, trivia questions and of course, some amazing photos of local birds, animals and plants are now available. While many people may enjoy a calendar with pictures of exotic nature and scenery, the “Birds and Nature of the North Quabbin” 2019 calendar focuses on the local beauty of this region making this calendar a local treasure. The calendar, originally created by Cindy Hartwell, and now coordinated by Ernie LeBlanc, showcases photos taken in the North Quabbin region by Athol Bird and Nature Club members. In addition, each month features extensive nature notes that provide very specific information such as when certain birds are migrating into or out of the area, when native wildflowers are blooming, when the peak of several meteor showers occur, and even when to listen for coyotes howling. Club members have an extremely broad range of interests, so a very diverse set of nature notes was compiled merely by picking their brains. Fine-tuned for the climate in this area, the nature notes are what set this calendar apart from other pretty nature calendars. Many people frequently use the calendar as a learning tool with their children by going outside and trying to find what the calendar says to look for. To further enhance the learning value of the calendar, each month features a nature trivia question. Do you know where a Painted Turtle spends the winter? Or, how fast can a Peregrine Falcon fly when diving to catch prey? Get the calendar to find out; the answers are on the inside back cover. Interesting facts about each month’s photo are also provided along with the photo credit to the member who took the photo. In keeping with the local theme, the calendar was printed by Highland Press of Athol, and as in previous years, area businesses have continued their enthusiastic support and paid for advertising in the calendar to help cover the printing costs. Being a high-quality product, people love to give them as gifts; they are great for grandparents and children and are a wonderful reminder of home to family and friends that no longer live in the area. The calendars are now available for purchase through the following local merchants: Trail Head, Quabbin Harvest, and Mount Tully Kennels in Orange; Flowerland, Cornerstone Insurance, MacMannis Florist, and the North Quabbin Community Coalition in Athol; the New Salem General Store in New Salem; the Red Apple Farm in Phillipston; the Petersham Craft Center and Harvard Forest in Petersham; the Hardwick Farmers Co-op in Gilbertville; the Kitchen Garden in Templeton; the Wendell Country Store in Wendell; Connecticut River Liquors in Turners Falls; and the Wine Rack and Ruggeri’s Beverage & Redemption Center in Greenfield. The ABNC, founded in 1963 by Athol science teacher, the late Robert B. Coyle, is today considered one of the state’s leading natural history clubs, with more than 250 members from around New England and beyond. New members are always welcome. As the caretaker of the Millers River Environmental Center (MREC), ABNC is responsible for its maintenance and upkeep. In the past, many expenses were covered by grants, but as grant money becomes more difficult to secure, alternative sources of funds are needed. And with fuel costs remaining high, all proceeds from the calendar sales will go to MREC to help keep the building warm and open for use by the community over the winter. To learn more about the Athol Bird & Nature Club or the Millers River Environmental Center, or to order a 2019 calendar, go to http://www.atholbirdclub.org. Contributions to the Center can be sent to MREC, 100 Main Street, Athol, MA 01331.